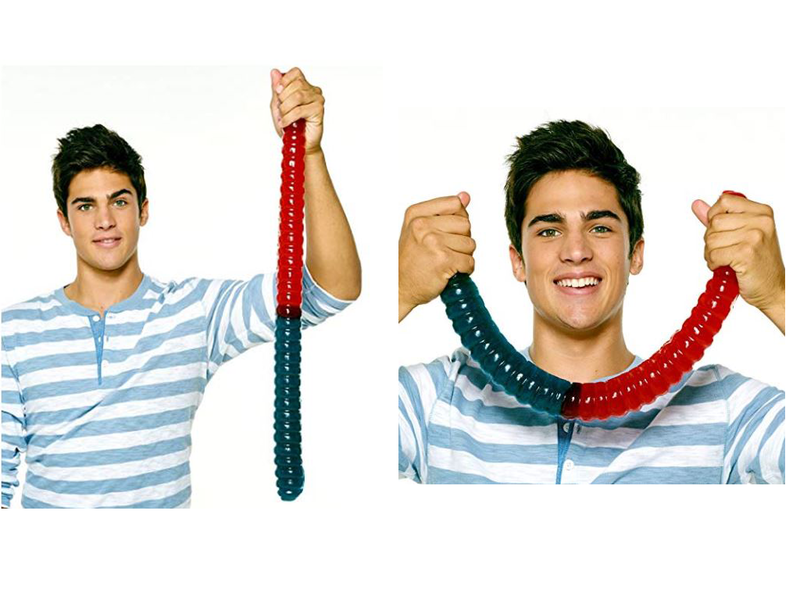 If you love gummy lollies then you are sure to enjoy the world's biggest gummy worm. These are sure to surprise any candy fan because of their size. 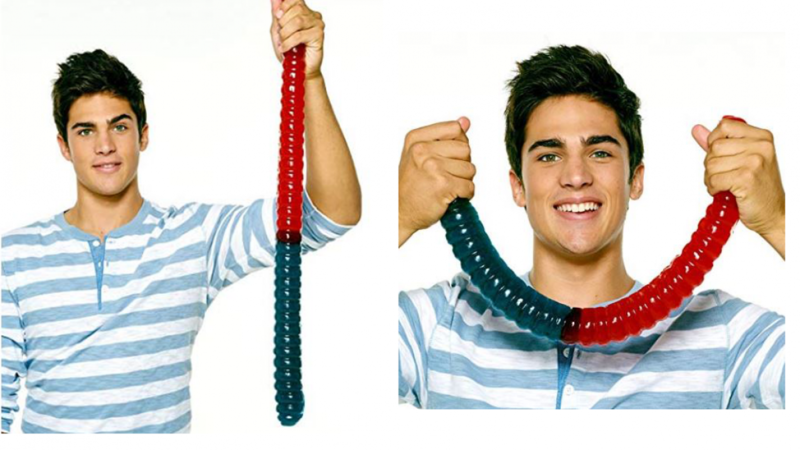 This gummy worm is an amazing 23 inches long and it is 2 inches thick. It weighs a startling 3 pounds. That sure is a lot of gummy for your money! If you want to wow your favorite trick or treater with the coolest and biggest candy ever this will do the job. This massive gummy worm is all the candy you will need because it should last for quite a while. It's unlikely that you will be able to eat it in one sitting. You will find that even if you eat some everyday it will last for quite a long time. This is a very cool idea as a gift for any candy lover because it is so cool. It is sure to provide the ultimate sugar rush! Also quite a cool idea as a centrepiece for a birthday party. Curl it up on a plate or lay it flat at the center of the table. This is a cool idea as a treat for a children's party because you can slice it into portions and share it around. If you like this massive gummy worm then you may like to check out the following.